Thursday, 29 August, 2013:� Australian taxi services platform ingogo today announced an additional $1 million in funding, taking the start-up’s total raised to $3.7million. The new investment will be used to help launch ingogo into new markets across Australia and internationally. 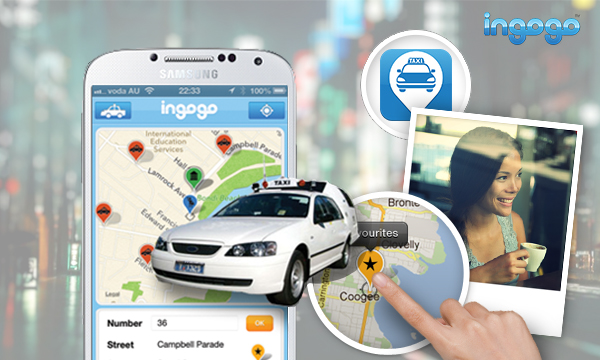 ingogo is the new innovative app challenging traditional taxi booking services in Australia by allowing customers to directly book a taxi with their smartphone. It also provides passengers with an alternative payment method through ingogo’s safe in-taxi payment terminals or via virtual mobile accounts. The team of new investors include� Pacific Venture Advisors’� Vikram Mehta (Managing Director and Principal Partner, Founder and CEO of Blade Network Technology, acquired by IBM in 2010, and 2009 Ernst and Young Entrepreneur of the Year) and Raj Dalal (Principal Partner),Trevor Loewensohn (Co-founder and MD of Alceon) along with business leaders Victor Gomes and Zac Rosenberg. They join existing investors Brad Shofer Co-founder at MYOB, members of Sydney Angels, The Sydney Angels Sidecar Fund, Daniel Petre and Alison Deans (founders of successful early stage fund NETUS), Martin Dalgleish (Advisor to Ellerston Capital and previously Director of Seek and Carsales) and ingogo founder, Hamish Petrie, who was the original founder of ticketing giant, Moshtix. Based in Silicon Valley, Pacific Venture Advisors specialise in assisting technology start-ups to achieve scale and success, whilst maximising returns on venture investments. They will be guiding ingogo through the company’s expansion plans, particularly into the US market and will also help provide access to further capital funds. In addition to the investment, Mr Mehta has also been appointed as a Director of ingogo and will be joining the company’s board early September. ingogo founder and Managing Director Hamish Petrie said Mr Mehta is a huge asset for the business and his commitment and appointment to the company’s board will further enhance the existing team. “Vikram has a deep understanding of the US market as well as great insights around accelerating technology start-ups,” he said. “We’re looking forward to taking on his deep knowledge in the entrepreneurial space� and� applying this to our future expansion plans – something we’re incredibly excited about. Mr Mehta said the ingogo platform is an exciting disruption to the taxi industry monopoly and he is thrilled to be part of the company’s strategic plan moving forward. “Raj Dalal and I are delighted to join the ingogo team to help expand their innovative platform into a global market,” he said. ingogo is a mobile app which assists customers to easily hail and pay for taxis. It was founded by the successful team behind Moshtix. It allows passengers to communicate directly with registered taxi drivers in their local area, see when drivers are coming and where they are on a map, with the option to pay for rides using ingogo’s safe in-taxi payment terminals or virtual mobile accounts. It currently operates in Sydney and is in a limited pilot stage in Melbourne. Pacific Venture Advisors (PVA) specialize in helping technology start-ups achieve Velocity, Expansion and Liquidity. They maximise potential through a solution focus, operational discipline and building nimble yet highly effective management system. The Principals of PVA (Vikram Mehta and Raj Dalal) both have extensive experience in launching emerging technology solutions in corporate and start-ups.